Chacun Son Vin - Articles - Danke schön! Thanks for your refundable deposit to secure your Austrian Masterclass Six-Pack, this is a one-time offer and separate from WineLover’s Quarterly subscriptions. 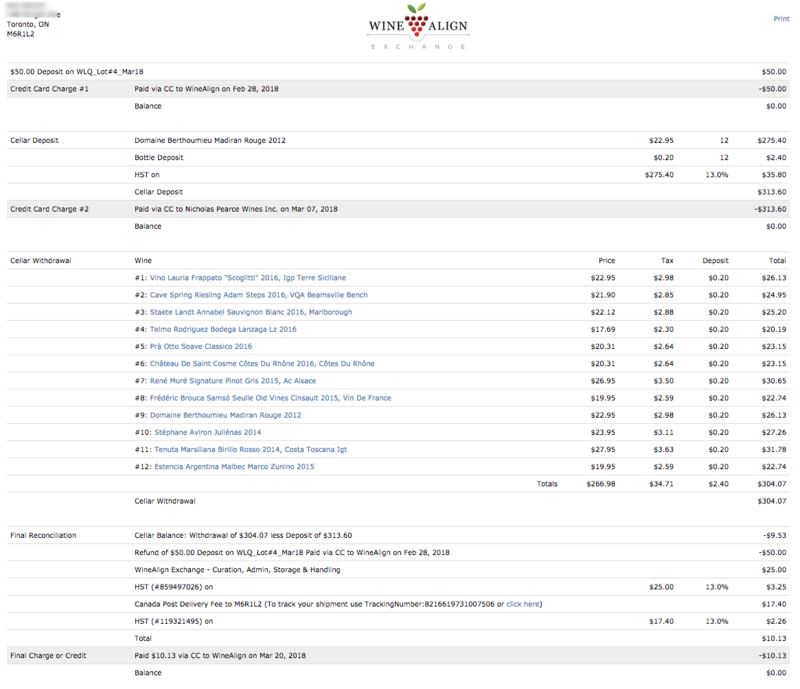 You can see your Exchange Account Activity here: https://www.winealign.com/exchange/purchases. You don’t have to do anything more at this point, we’ll take care of everything for you. Well, not quite everything, you’ll still have to grab your own glass and corkscrew when your delicious six-pack of Austrian wine arrives in about three months. However, if you want to know exactly what is going to happen please read on to understand the inner workings of the Exchange and the charges you will see on your credit card. • WAX – Deposit: We need a $150 REFUNDABLE deposit for every Austrian six-pack to guarantee your commitment as we are ordering a case of wine on your behalf. The $150 also provides flexibility if you are owed money during the reconciliation phase as we will do a convenient refund on your credit card. • WAX – Purchase: This occurs a week or two before your wine is delivered to your door. This is your whole-case six-pack purchase directly from an agency or winery and is your ‘deposit’ into your community cellar. The price of this case may be more than the price of your mixed-case six-pack ‘withdrawal’. Please don’t worry if it is more as everyone pays the same amount for their final case. Any difference in price between your whole-case deposit and your mixed-case withdrawal will be addressed during the reconciliation. • WAX – Reconcile & Ship: This occurs when the wine ships out from the community cellar. It consists of a refund of your original $150 deposit, a squaring up of any difference in cost between the mixed-case of wine you receive and the whole-case you purchased and deposited, our $25 curation/storage/handling fee plus the delivery costs. This will show up as a small charge or refund on your credit card. If your refund is in excess of your original $150 deposit it will be sent as an Interac e-Transfer. If you any questions about your order please contact [email protected] or visit our FAQ. Interested in our WineLover’s Quarterly subscriptions?